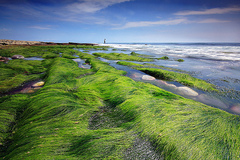 The East Coast National Scenic Area stretches in a strip along the coast of Hualien and Taitung counties, between the Coastal Mountain Range and the Pacific Ocean. 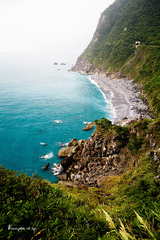 It reaches from the mouth of the Hualien River in the north to the Little Yeliou Scenic area in the south, a total distance of more than 170 kilometers, and covers the largest amount of land of any national scenic area on the island. 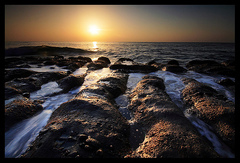 The most unique landforms in the area can be seen at Shihtiping, Sansiantai and Little Yeliou. 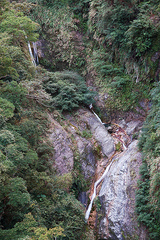 The section of the Siougulian River below Rueisuei is the most popular site for white-water rafting in Taiwan. 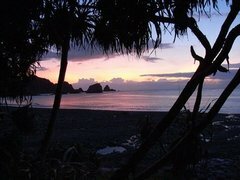 In addition to rafting, activities offered withing the national scenic area include whale-watching, snorkling, deep-sea fishing and soaking in hot-springs. The East Coast's unique topography and ecology, and its rich indigenous cultures, weave an enchanting web of attractions here. Traveling down provincial highway No.9, all you see on both sides are green farm feilds stretching to the mountains. 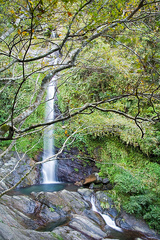 The national scenic are stretches from Mugua River in Hualien to the north to Taitung City and covers a total of 138,386 hectares encompasses mountains, valleys, and hot springs, together with feilds of rice, daylilies, pomelos, tea, and sugar apples in rich abundance. 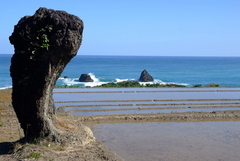 Berms crisscross the land, dividing it into feilds; waves of rice billow as cows graze in organic pastures and fish and shrimp cavort in the streams. 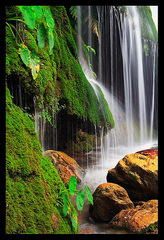 The contentment-filled local inhabitants are warmly hospitable in their rustic way, and the stream beds are littered with precious stones. Truly, this is a paradise on earth. 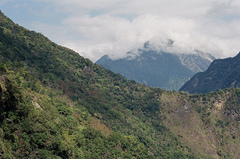 The valley is home to four of Taiwan's indigenous tribes: the Amis, Taroko, Bunun, and Puyuma. Aboriginal culture is among the most important and most representative of the East Rift Valley's precious resources. 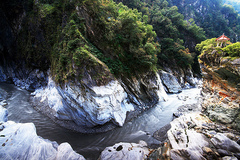 Taroko National Park, located in East Taiwan, is a world-renowned land of majestic beauty and marble-walled gorge scenery. 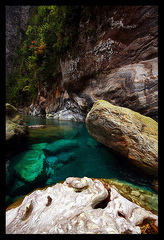 Visitors sigh in wonder at the vertical walls, sheer precipices, gorges, and contorted tunnels along the route of the Liwu River. The marble has been cut and sculpted by the relentless erosion of the river as the land has been pushed upward over the millennia, leaving the nearly vertical U-shaped gorge we see today. 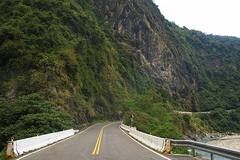 The Taroko Gorge generally refers to the 20 kilometer section of the Central Cross-Island Highway that runs from Taroko to Tiansiang. 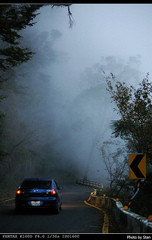 As you travel west from the arched enterance at its eastern end, the gorge becomes narrower and narrower; the most spectacular scenery is from Swallows' Grottos to the Bridge of Motherly Devotion (Cihmu Bridge), where thwe highway runs mostly through tunnels or along grooves carved into the vertical side of the gorge. 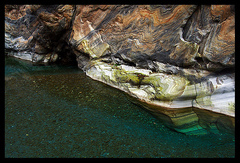 The narrowest part of the gorge are at Swallows'Grottos and the Tunnel of Nine Turns; and here, too, are its most enchanting vistas. A number of hiking trails have been developed along the two sides of the highway. Cingshuei Cliff, located on the section of the Suao-Hualien Highway that stretches between Heping and Chongde stations is one of the most spectacular sights on Taiwan's Pacific Coast. The cliff is more than 1,000 meters high and drops almost vertically into the sea. The highway snakes along its curving face for more than 20 kilometers, with the sheer cliff rising on one side, and a sheer drop to the ocean on the other. This is the sight of an old Atayal village at the confluence of the Liwu and Dasha rivers. Its name commemorates Wen Tian-siang, who lived in the 13th century and was the last prime minister of the Song Dynasty. Scenic spots at Tiansiang include Siangde Temple, Tianfong Pagoda, a suspension bridge, the Wen Tian-siang Memorial Garden, the Plum Garden, and Tiansiang Church. In winter each year the Plum Garden blooms forth, forming a sea of white blossoms stretching from the highway to Siangde Temple. Shanyue Village at Bulowan, another old tribal settlement in the gorge, offers a new and unique type of accomodation for the area. 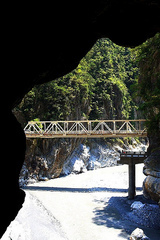 This part of Taroko Gorge is composed of marble cliff faces covered with small holes, the result of long-term erosion by rivers and ground water. House swifts and Pacific swallows often forage and nest here, giving the place its name. The tortuous course cut by the river has produced a gorge of many curves, and the path of the highway that has been carved out of the cliff face here seems to be an endless series of turns. Hence, the name. The gorge is so narrow that only a very narrow width is open to the heavens, in what the Chinese call "a thread of sky." 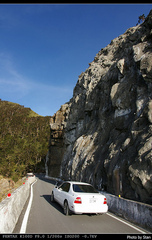 The marble cliff face opposite the highway varies in color from deep gray to pure white in a multitude of changing designs. 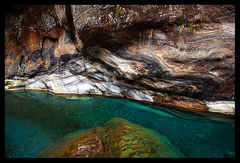 A walk through the Tunnel of Nine Turns takes about 30 minutes and gives access to enchanting scenes of the gorge, the river, stone strata, the tunnel itself, and the surrounding vegetation. This is one of the most scenic parts of the gorge, and the best place to observe the gorge's ecology. 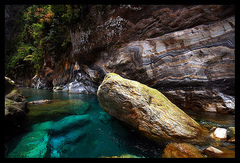 The Yushan National Park is a subtropical alpine park that is situated in the Central Mountain Range ad covers an area of more than 100,000 hectares in Nantou, Chiayi, Kaohsiung and Hualien counties. 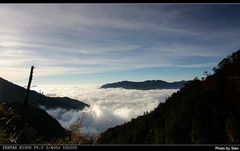 It contains 30 of Taiwan's famed "100 Top Peaks," including those of Yushan (Jade Mountain) itself, Mt. Siouguluan, Mt. Mabolasih, Dafen Peak, Mt. Sinkang, and Mt. Guan. At 3,952 meters, Jade mountain is the tallest in Northeast Asia, and contains complete subtropical, temperate, and frigid ecological systems as well as a rich variety of plant life. 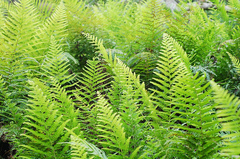 The park is home to 34 species of mammals including the Formosan serow, Formosan Sambar, Formosan black bear, Formosan wild boar, Reeve's muntjac, and Formosan rock-monkey. 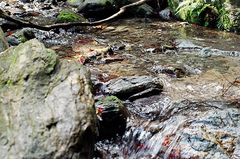 The park contains almost all of the forest bird species to be found in Taiwan, including a number of endemics, as well as an abundance of butterflies, reptiles. amphibians, and rare fish. 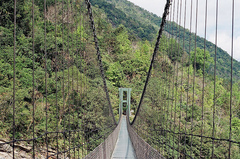 The New Central Cross Island Highway reaches about 74 kilometers, starting from Shueili, running through Sinyi Township (the largest mountain township in Taiwan), and connecting with the Chiayi-Yushan Highway at the Tataka Visitor Center. (It does not, however, cross the island.) 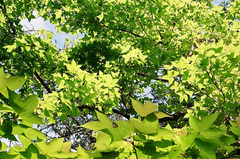 Scenic spots along the road include Guanfong, Guanshan, Husband-and-Wife Trees, the Tataka Visitors Center, Mt. Lulin, and the Tatajia Saddle. 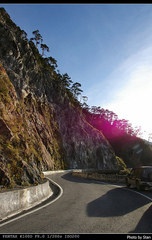 From this alpine highway, you can see the various peaks of Jade Mountain and the Alishan range. 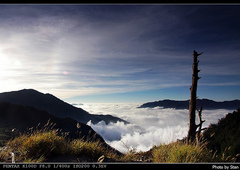 For mountain climbers, it gives access to Jade Mountain and the Batongguan Historical Trail. 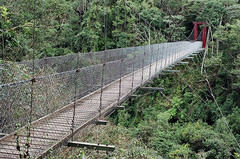 A special bridge has been constructed to allow Formosan rock-monkeys to cross the highway. This highway (Provincial Highway No. 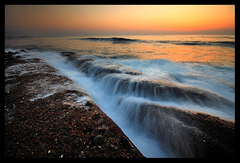 20) runs for 167 kilometers, from Tainan to Taitung. 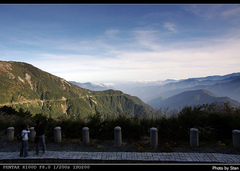 From its 110K marker at Meishan to its 146K at Yakou, it passes through the Yushan National Park. The road reaches an elevation of 2,700 meters, giving access to a rich variety of medium and high altitude forest vegetation as well as beautiful alpine vistas. 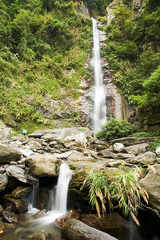 The rugged mountains and valleys along the highway offer scenes of spectacular landscapes, including the Meishan Recreation Area, Jhongjhihguan, the Mt. 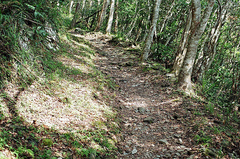 Guan Trail, Tianchih (Sky Pond), and Kuaigu (Cypress Valley). Lidao, the biggest plateau on the highway, is a village inhabited by Bunun aborigines. The great Mt. Guan Tunnel marks the eastern portal of the Yushan National Park; the peaks of the east side of the tunnel are wreathed in seas of clouds all year round, and the layered ridges and peaks provide breathtaking vistas of majestic beauty. 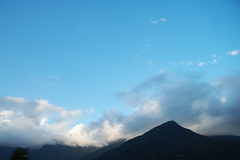 This volcanic island, located offshore from Taitung, has a moist climate and abundant rainfall. 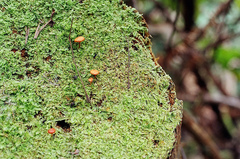 The mountains are covered with rain forest; this is where wild orchids once grew, giving the island its name. The warm Japan Current sweeps by, bringing an abundance of marine organisms; this factor, plus the clean and unpolluted nature of the water, nourishes the most complex coral-reef ecology in the seas around Taiwan. 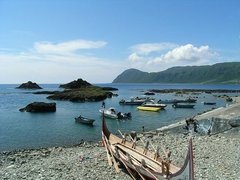 The island is inhabited by the Yami, the most primitive and one of the friendliest of Taiwan's indigenous tribes. The quaint Yami have three major festivals: the Flying Fish Festival in March, involving a simple ritual designed to bring protection to the tribespeople while fishing; the solemn Millet Harvest Festival in mid-June, to solicit the dieties for a bountiful harvest, and the irregular Boat-launching Festival, held whenever one of the Yamis' colorful canoes is completed. 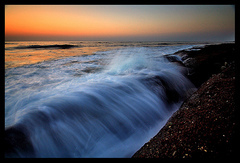 The natural scenic features of the island include Red-head Rock, Alligator Rock, Elephant Trunk Rock, and Cingcing Prarie. There are not many tourists on Orchid Island, and its waters are even cleaner than those of Green Island to the north, making it an excellent place to dive on the coral.